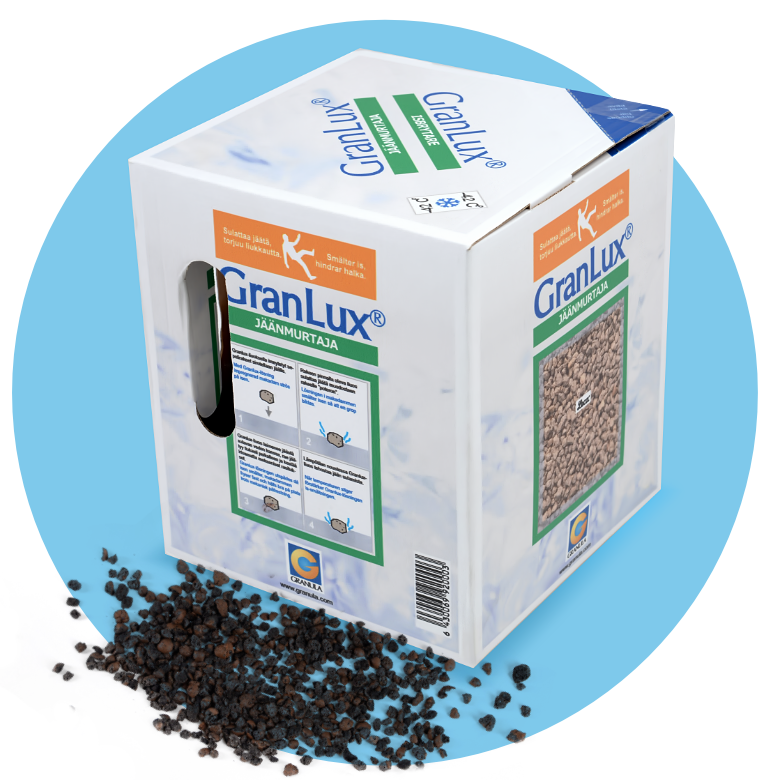 GranLux Ice Breaker | Hpp Europe - Puhtautta ja suojaa elämän tarpeisiin. Melts ice and helps prevent slipping! 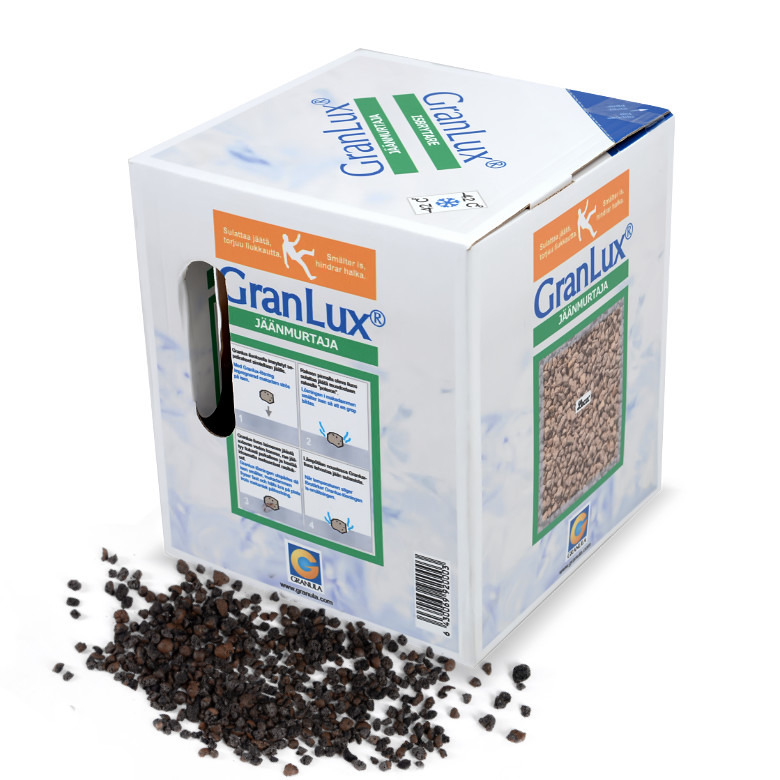 GranLux is a biodegradable Leca®infused with ice-melting liquid. The product significantly reduces the risk of slipping on iced and snowy sidewalks and driveways. Convenient packaging makes it easy to apply. Package contains 8 litres, coverage 36m².